A Facebook post by a Muslim chaplain about being denied an unopened can of soda because of what she said was discrimination on a United Airlines flight has sparked a flurry outrage on social media. 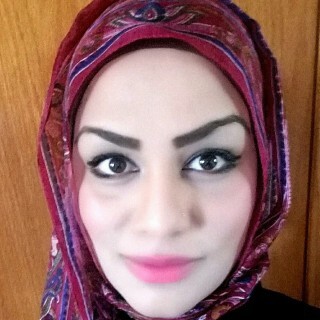 “I am in tears of humiliation,” Tahera Ahmad, wrote on Facebook Friday, describing a situation in which she requested an unopened can of Diet Coke during a flight for hygienic reasons, but was told by a flight attendant that it was against policy. Ahmad noticed that the same attendant had given a man an unopened can of beer, and questioned the inconsistency, accusing the flight attendant of discrimination, she wrote on Facebook. “‘We are unauthorized to give unopened cans to people because they may use it as a weapon on the plane'” Ahmad said the flight attendant responded. “We spoke with Ms. Ahmad this afternoon to get a better understanding of what occurred and to apologize for not delivering the service our customers expect when traveling with us,” the statement said. Ahmad was not satisfied with United’s response. “Unfortunately United has dismissed my entire narrative and trivialized it to a can of soda,” she wrote on Facebook Sunday morning. United Airlines spokesman Charlie Hobart told NBC News that the company has “apologized for not providing the experience that our customers expect,” but wouldn’t say whether the apology was written or delivered verbally. He directed questions about disciplinary action against the flight attendant involved and policies on unopened cans to Shuttle America, the airline that was operating the flight. Shuttle America did not immediately respond to requests for comment. Ahmad, who is an associate chaplain and director of interfaith engagement at Northwestern University in Illinois, has garnered great deal of support on social media. Many are calling for people to boycott United Airlines with the hashtag#unitedfortahera.